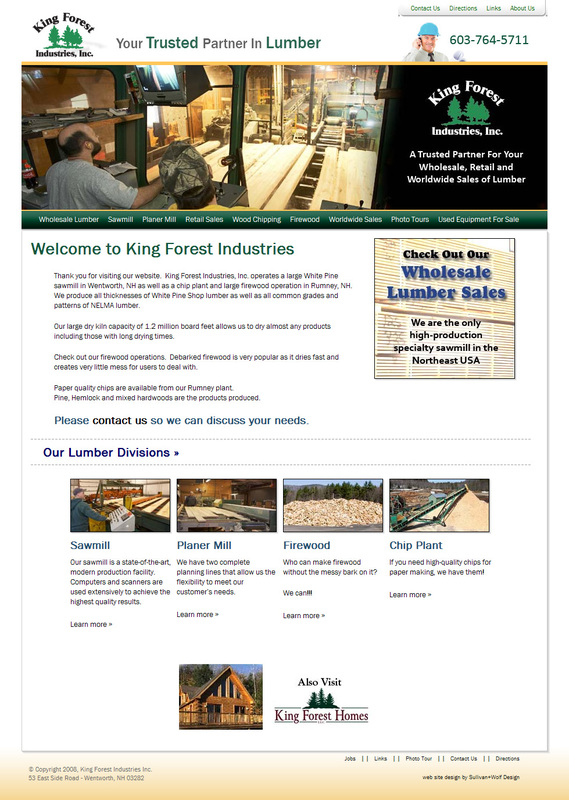 King Forest Industries launches their first web site. King Forest Industries is one of the largest sawmills for White Pine in the Northeast. They approached us needing a basic web presence with an emphasis on photo tours. We used Flash technology to deliver exciting, yet, affordable slide shows of their divisions.